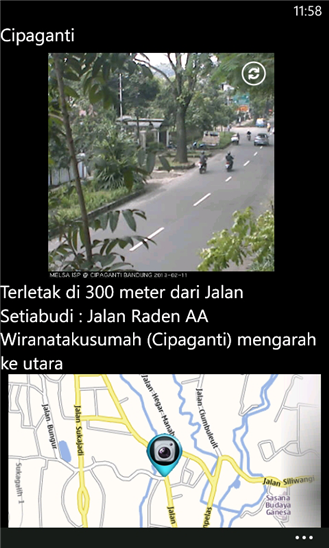 "Bandung247" is a mobile application for Nokia Lumia with Windows Phone 7.5, 7.8 and 8 that serve you Image preview from CCTV Traffic monitoring especially in Bandung City, Indonesia. 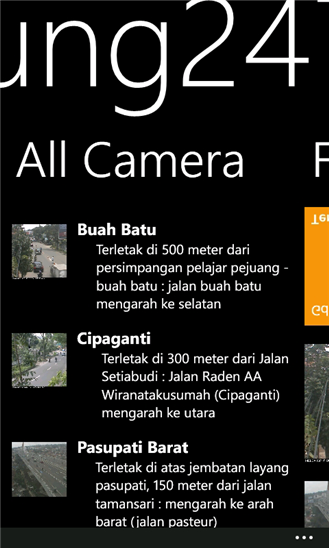 More than 20 CCTVs Preview available across Bandung City complete with CCTV Location and Maps. 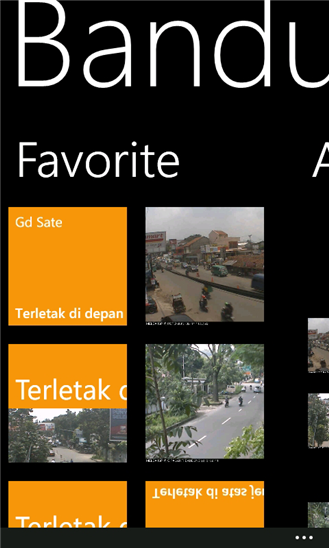 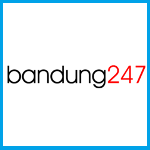 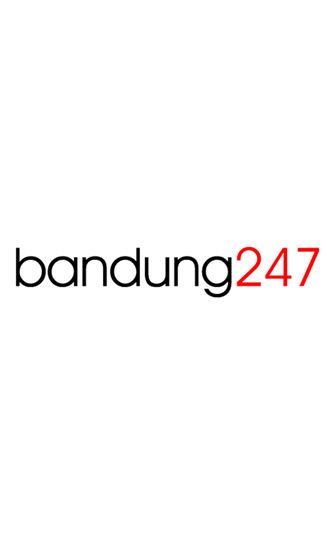 Open Windows Phone Store and search "Bandung247"